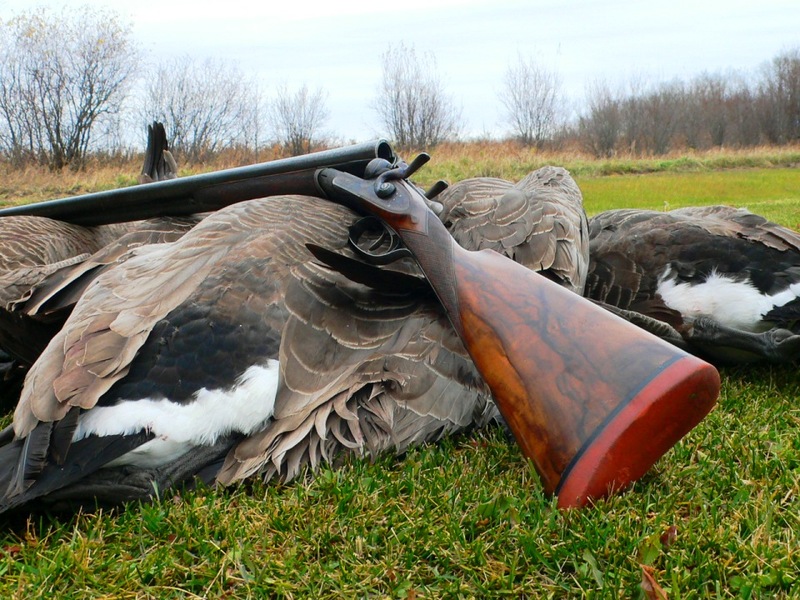 There are very few best-kept secrets in wingshooting. Most of the world’s premier bird hunting opportunities were brought to light long ago. Some have remained in relative obscurity, to be enjoyed by a select few in the know; others have been thrust into the limelight and attracted plenty of attention—too much in some cases. So you can understand my recent dilemma after having enjoyed some fantastic shooting for a relatively unknown population of birds. Do I keep the information close to the vest, or do I let 32,000 of my closest friends in on the secret? In the end I decided that some things are simply too good not to share. Come again? 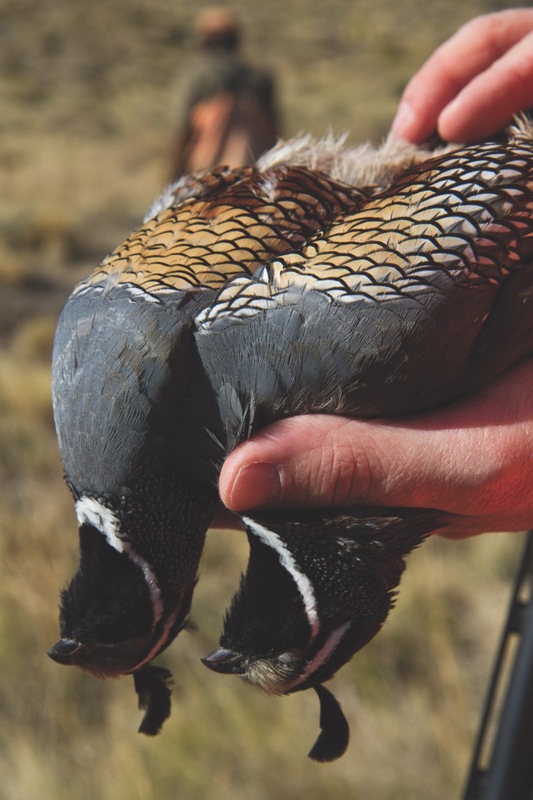 I was quite familiar with the world-class shooting for ducks, doves and pigeons in the central and northern areas of Argentina, but I had never even heard wingshooting mentioned in association with Patagonia—let alone wingshooting for quail. John explained that California quail had been introduced to the region in the early 1900s and during the past century had thrived. Today there is excellent hunting for coveys that will number a hundred birds, many of which have never heard a shotgun. 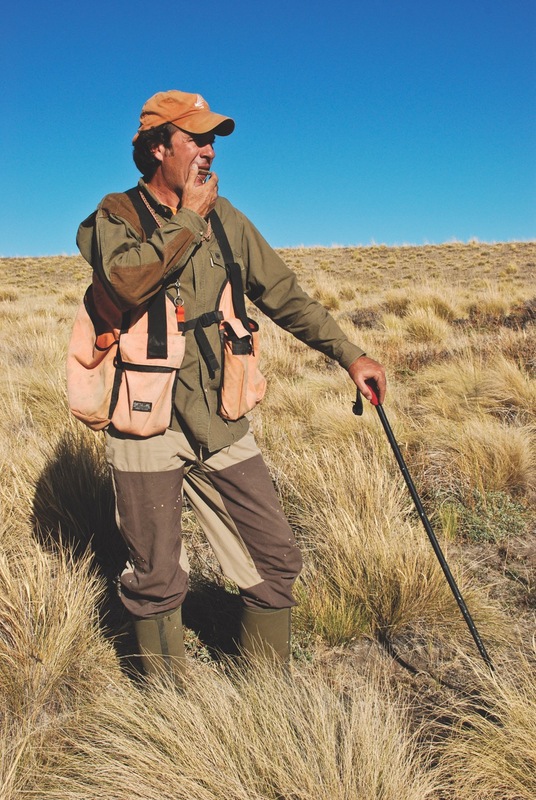 In the spring (Patagonia’s fall) there is a window when a hunter can catch the tail end of the stag rut and the start of the bird season and even do some fly-fishing for bruiser brown and rainbow trout. I had found the excuse I’d been looking for. This past April I boarded a flight to Argentina, where after spending one night in Buenos Aires I caught a second flight to Bariloche, in the foothills of the Andes. Bariloche is a three-hour drive south of Tipiliuke, but an active volcano in Chile had dumped ash on the area and forced the closure of the airport only 20 minutes from the lodge in San Martín de los Andes. In retrospect I was thankful for the road trip, as my driver, Arnie, was a font of knowledge, and the high-desert scenery was spectacular. 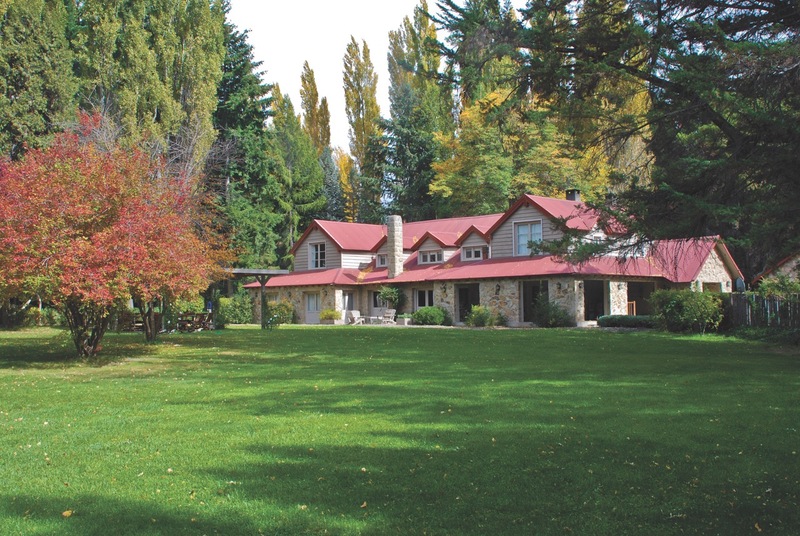 Eventually we arrived at Tipiliuke Lodge, part of the 48,000-acre Estancia Cerro de los Pinos. Established in 1909 by a French family that traded with the indigenous people, the property remains a working cattle ranch. The lodge is named for nearby Tipiliuke Mountain (which in the local vernacular means “upside-down heart”) and is surrounded by a tree sanctuary that is unique in the province because of its size and diversity of species (about 2,000). This, coupled with the lush environment of the Chimehuin (“Chimmee-win”) and Quilquihue (“Ka-kill-way”) rivers, which wind through the property, give one the impression that they are in a kind of paradise. Inside the lodge I was greeted by John Burrell and Kristen Elliott. Kristen is the director of marketing programs for Eddie Bauer and was instrumental in helping launch the company’s new line of upland and shooting wear. John was a consultant in the development of the line, lending a guide’s eye to the details. Over a glass of Malbec, we planned for the days ahead. With any luck, both Kristen and I would get a shot at Patagonia’s version of a Scottish Macnab: fur, fin and feather in the form of stag, trout and quail. John mentioned that if we were really on our game we might take the Tipiliuke “grand slam,” which included boar and snipe as well. He pointed to a plaque displaying the names of the few who had accomplished the feat. It would be an honor to join such a select group. For the next hour other hunters and anglers filtered into the lodge, each with tales to tell and some with cell-phone images of stags taken and trout landed. Several reported having seen large coveys of quail. All indications were that it would be a productive week. he following morning John, Kristen and I were joined by Ben Smith, a young Brit who was guiding at the lodge for the season, and in the dark drove across the Chimehuin to a nearby hilltop. As the light came up, it revealed a scene reminiscent of Jurassic Park: a braided river meandering through a wide valley, with meadows and grassy flats on either side stretching to distant foothills. It is this riverine environment that makes Tipiliuke such a hotbed for stag hunting. 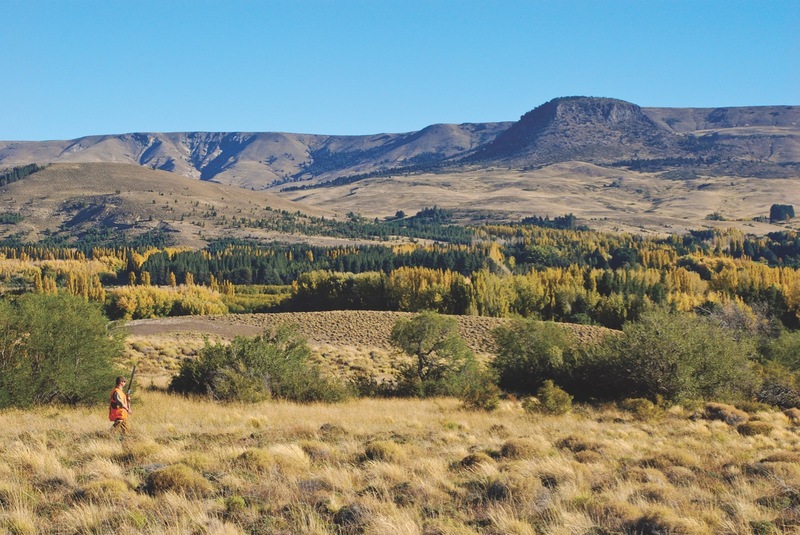 The lush growth attracts and holds a large population of hinds, or female deer, which during the rut draws stags from the huge surrounding properties: 200,000-acre Chacabuco (“Cha-ka-boo-ko”) and 155,000-acre Quem Quem Treu (“Kem-kem-tray-o”). In the evenings the deer move down from the high plains to feed, and in the mornings they work their way back up to bed. We had been glassing for several minutes when, from somewhere below, came what sounded like a cross between a lion roaring and a cow bellowing. John turned to me with a big grin. “Stag,” he whispered. Through the spotting scope we watched a very nice stag herding his harem of hinds, occasionally stopping to roar and chase off satellite stags that were acting too interested in the ladies. John said that the big boy was a “shooter,” but we were only able to close the distance to 400 yards before a young stag spotted us and spooked the herd. During the rest of the morning we spied several more herds, but they either didn’t hold a decent stag or were already above us and climbing—which with their ground-covering walk meant that they were almost impossible to catch. I also learned quickly that, contrary to my preconceptions, this would not be like shooting fish in a barrel. Free-range red deer are like giant antelope: They have excellent vision and, once they see you, their defense is to keep a healthy buffer between you and them. I began mentally preparing for a long shot. Back at the lodge we enjoyed a traditional asado (barbecued meat and lots of it) before heading out in the drizzling rain for an afternoon hunt. We had driven only 20 minutes when we spotted a herd of 30 hinds, four satellite stags and a trophy lording over them. The deer were in a draw that would allow an approach from behind a steep hill, so we parked the truck and bailed out. In 15 minutes we were looking down on the deer. I was lying in the grass, resting the Ruger bolt rifle on my backpack, and when the stag, which we had ranged at 360 yards, stepped clear of the hinds, I settled the crosshairs of the raindrop-dappled scope inches below his back and squeezed off a shot. And missed. The herd retreated to higher ground and holed up in a bowl a half-mile away, offering a chance for redemption. The stalk that ensued was epic—complete with climbing, creeping, duck-walking, belly-crawling, backtracking and more belly-crawling. It culminated with a 175-yard shot, with me resting the .308 across John’s shoulder in order to gain a view over the grass. The stag dropped in his tracks. 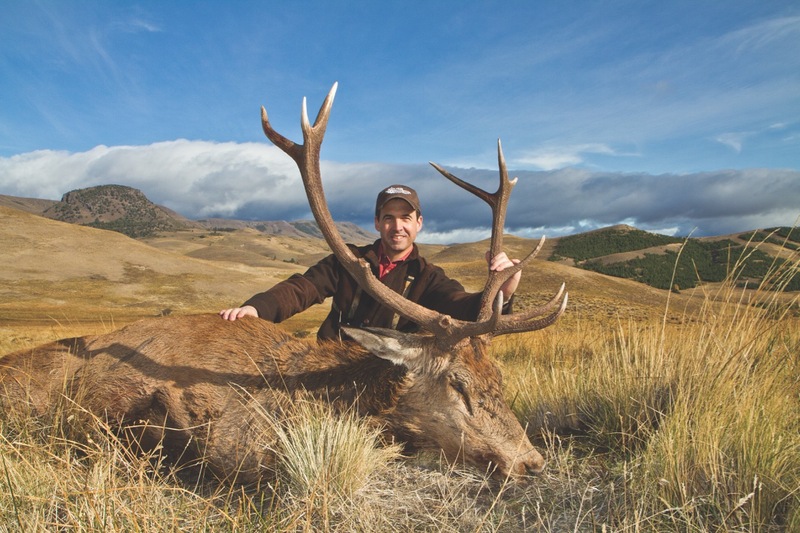 The beast was a true trophy—a battle-scarred old campaigner with ivory-tipped antlers and nice crowns on top. His rack would have had six points per side had two tines on the right beam not broken off, presumably from fighting. His teeth were worn low, and his hide bore deep gouges and several fresh puncture wounds. He was exactly the kind of animal I had wanted. With one leg of my Macnab complete, the next morning was dedicated to quail. John, Kristen and I met with the lodge’s head bird guide, Adrián Cataldi, who has helped manage Tipiliuke’s quail program for almost a decade. A short drive from the lodge brought us to a grassy valley that looked like most of the others except that it was bisected by a long, brushy draw. Adrián got out of the truck, blew on his quail whistle and received an immediate response from up the valley. Game on. Adrián put his seven-year-old black shorthair, Wanna (as in “Wanna Go”), on the ground as John and I loaded our Red Label 20-bores and Kristen readied her camera. We slowly began moving up the draw, flanking the brush while Wanna worked through the middle. The cover was thick, almost impenetrable michay (“me-chai”), an evergreen with thorny leaves similar to mistletoe. Michay produces a bluish fruit that ripens in the fall, so in addition to providing quail excellent protection from predators, it is a common food source for the birds. The bushes were growing to heights of 15 feet, and beneath the overstory were tunnels that Wanna was able to maneuver through. We had traveled about 200 yards when Wanna’s bell fell silent. It then became evident that Adrián had not been carrying a ski pole simply to use as a walking stick. He disappeared into the greenery and told us to get ready as he began thrashing the bushes. Several whacks later a covey of 50 quail came boiling out. John, displaying the reflexes of a lifelong quail hunter, dropped a double, and Wanna delivered them to hand. Both were beautiful cockbirds, replete with the black topknots and throat patches, gray breasts, and chestnut-colored bellies with dark scaling that characterize California, or valley, quail. The rest of the covey settled in a hundred yards ahead, so we continued up the draw, picking up singles and pairs. It was wonderful hunting, similar to working a hedgerow or windbreak. The birds were reluctant to expose themselves over the open grass, so we would catch them squirting up the sides of the cover or streaking through small openings. As valley quail are wont to do, often they would skim the tops of the bushes, resembling flying fish as they rose out of the sea of leaves and quickly dove back in, offering snap shots most challenging. A mile and a half of walking brought us to the head of the draw, and though the quail were presumably spread out in the grass ahead, we had taken 10 birds and felt that that was sufficient. Besides, the temperature had climbed into the 70s, and we had begun to overheat. On the way back to the truck John explained that quail numbers on the estancia are healthy and have been increasing steadily. He estimated that there are upward of 8,000 birds on the ranch and that the population could sustain a harvest of about 1,500 annually—though only a fraction of that is being taken. Proof of the lack of pressure is that hunters have been pursuing Tipiliuke’s quail for seven years, yet the birds have not developed the nasty running habits of their North American cousins. The vast majority simply never see a dog or hear a gunshot. The next day we enjoyed another great hunt in a brush-choked wash even closer to the lodge. Adrián’s second dog, a solid-liver shorthair named (appropriately) Brown, found a covey of two dozen birds, and we followed them uphill, thinning their numbers as we went. Halfway up the slope a dozen quail lit in a large evergreen tree in an open pasture. John and I positioned ourselves on opposite sides of the tree and were presented with sporting shots as Adrián tossed rocks into the branches and the birds flushed over the grass. A short time later Brown pointed another covey of 50 birds, which scattered and seeded the rest of the draw. One cockbird, however, held tight, and I spied him not five feet away in a michay bush. He obviously felt safe among the thorny leaves, as our stare-down lasted a full 20 seconds before he panicked and launched downhill—where I rolled him into the weeds. We were almost to the head of the wash when John yelled, “Pig!” and I looked up to see a huge Russian boar picking his way across a wide-open slope. “My kingdom for a Drilling!” I yelled back. There was nothing either of us could do but watch. By the time we returned to the truck there were 16 quail in the bag. It had been a productive two hours, and my vest full of empties was testament to the challenging shooting. The next few days were filled with more shooting, stalking and even fishing. I ended up landing a couple of rainbow trout to complete my Macnab, and Kristen made an impressive shot on a trophy stag in the shadow of Tipiliuke Mountain. We even got to see a condor and one of the hundred-bird coveys John had told me about—of course the latter was while we were carrying rifles, not shotguns. All too soon it was time to return to the States, but I left Tipiliuke having had the Patagonia experience I’d always dreamed of. Not only that, but I had enjoyed top-notch wingshooting known to few other sportsmen. Of course now that I’ve let the cat out of the bag, that will no doubt be different next time . . . .
Tipiliuke Lodge is a boutique hotel offering fine accommodations and gourmet meals. Lodge managers Kevin and Mary Jo Tiemersma are gracious hosts, and their bilingual staff is friendly and attentive. In addition to hunting and fishing, activities include hiking, horseback riding, mountain biking and bird watching, with skiing and golfing available nearby. For more information on a cast & blast trip to Patagonia, contact High Adventure Co., 800-847-0834 or 678-388-2205; www.highadventurecompany.com. After considering which gauge and load to fire on any given day, the biggest decision left is always what choke(s) to use.